It’s Father’s Day and yet Stoic, Hiccup’s dad died in this long awaited sequel of How to Train Your Dragon 2 (spoiler alert!). Our beloved dragon master had lost his dad but gained his mother who spent the past 20 years away, rescuing and caring over dragons in a hidden sanctuary led by a humongous alpha dragon. Even Toothless, which could be the last Night Fury dragon left, had also earned a reputation as protector of their village dragons when he snapped out of the antagonist alpha dragon’s mind control and challenged it. His newly discovered back wings and blue flame had helped release the other dragons from enchantment, who in turn aided it against the gigantic enemy. The alpha dragon which controls other dragons is also controlled by a control freak dragon hater (Drago) and self proclaimed dragon master who obviously don’t want competition in Hiccup. Speaking of Hiccup, he had grown into a man in this sequel and became heir as chieftain of his village (Berk) after his father’s demise. This part is disheartening considering the fact that he had just been reunited to his wife. The rest of the other kids on part 1 are also all grownups now in this movie. So much for spoilers! The cinematic experience with How to Train Your Dragon 2 is at its best in 3D. You will definitely appreciate the animation more with characters that are almost at your reach (I was constantly extending my hands to touch the dragons!) and items that appear as if coming straight at you or from behind you. I’m as ecstatic as my preschooler daughter who enjoyed every scene with her 3D glasses on and never took it off (except that it constantly falls off her small face). One more thing I’d like to note is DreamWorks Animation India. Having worked in the BPO industry for almost 5 years, my first thoughts were about outsourcing, offshore, and cost cutting. But for anyone in India who were amongst the over 500 people who worked on the film, I’m sure the prestige will be worth anything else. Anyway, the entire animation from start to finish is flawless regardless of where it was animated from. 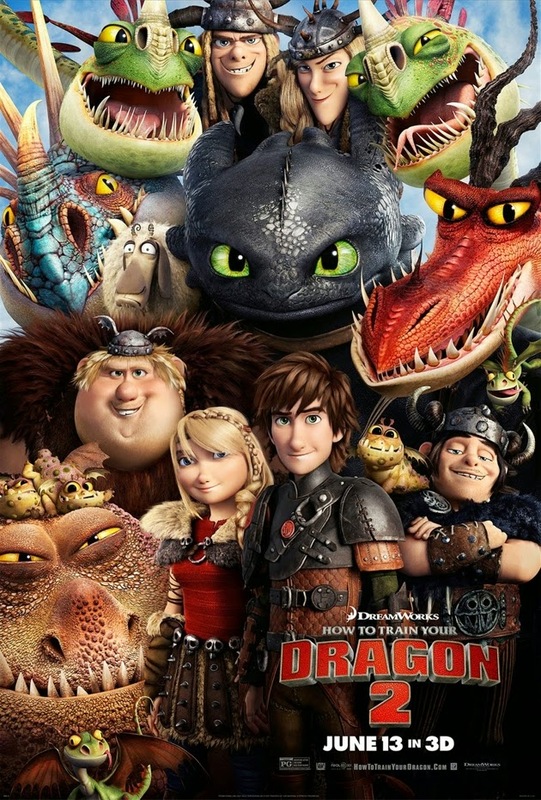 So all in all, How to Train Your Dragon 2 is worth the 4-year wait! Wait for it, another movie is cooking for a trilogy.